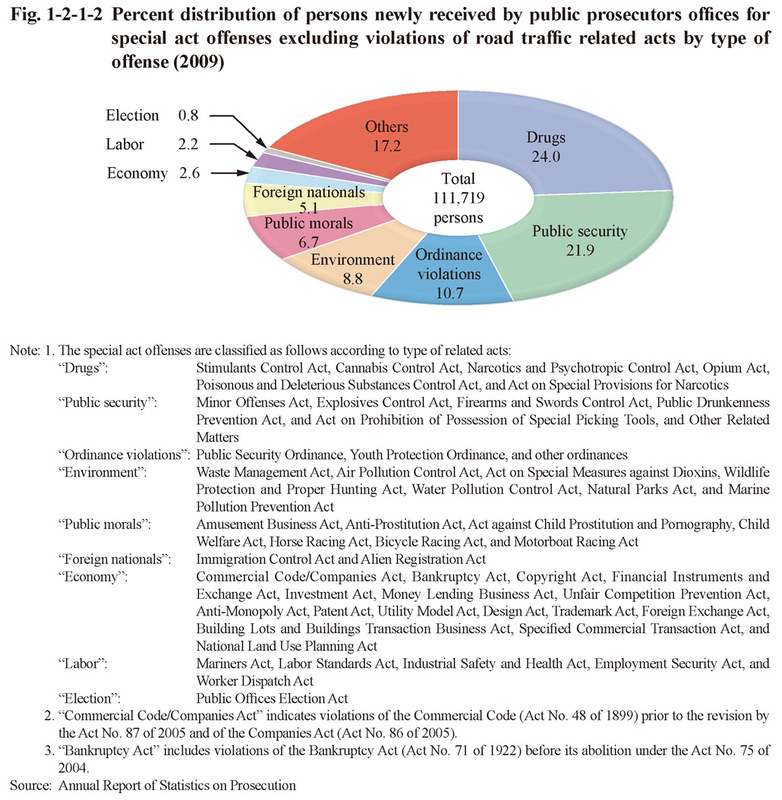 The principal data on special act offenses in 2009 is as follows. Fig. 1-2-1-1 shows the number of persons newly received by public prosecutors offices for special act offenses since 1949 on. 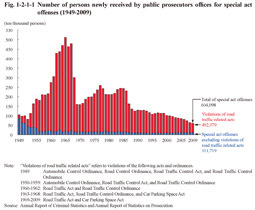 The number of persons received for overall special act offenses sharply dropped when the traffic infraction notification system came into force in 1968 but remained within the range between two and three million from 1975 through to 1984. The number then sharply dropped again due to expansion of the scope of the system in 1987, and subsequently was on an overall decreasing trend. However, the number of persons received for special act offenses, excluding violations of road traffic related acts, started to increase from 2001 on. The number decreased by 7.9% from the previous year in 2008 but then increased again by 1.2% in 2009. Fig. 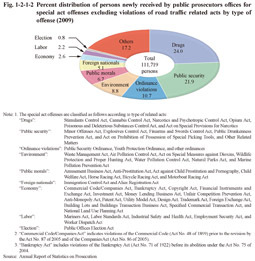 1-2-1-2 shows the percent distribution of persons newly received by public prosecutors offices for special act offenses excluding violations of road traffic related acts by type of offense in 2009.